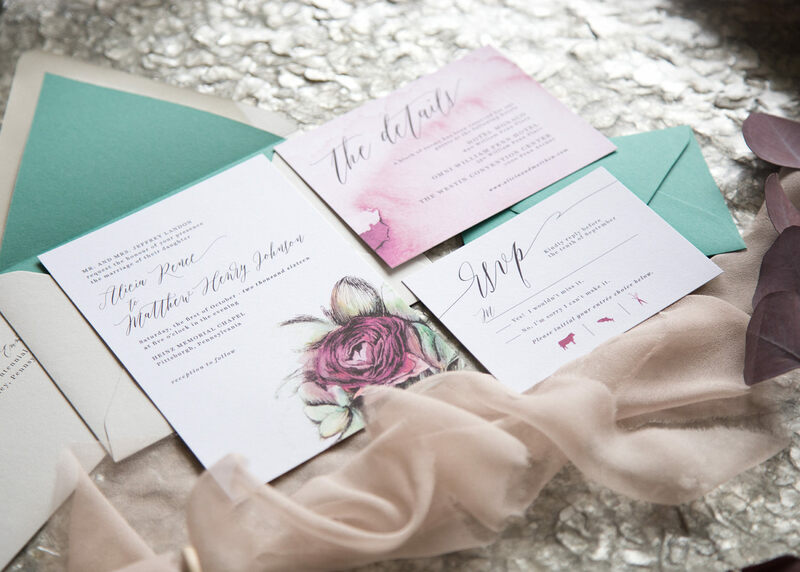 I'd love to provide you a custom experience by tailoring these lovely invitations to fit your needs. Want to adjust the wording? No problem. 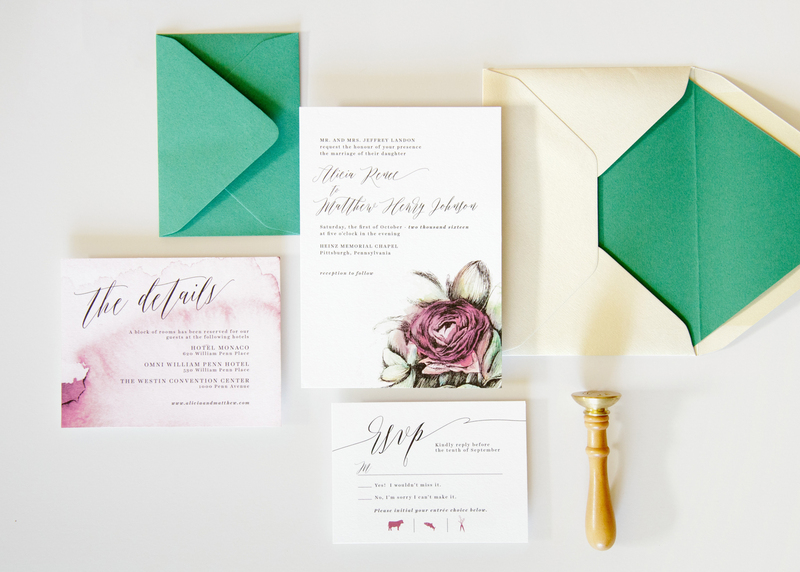 Would you like a different color for your envelopes? Got it! 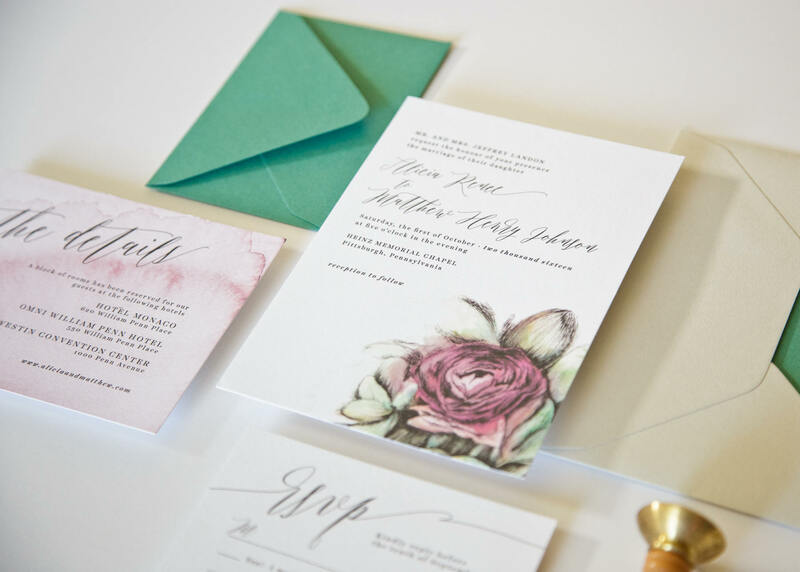 I'll take care of the design setup and printing, and within a few weeks you'll have your finished invitations – no worrying about finding a printer or knowing the many nuances of file setup. 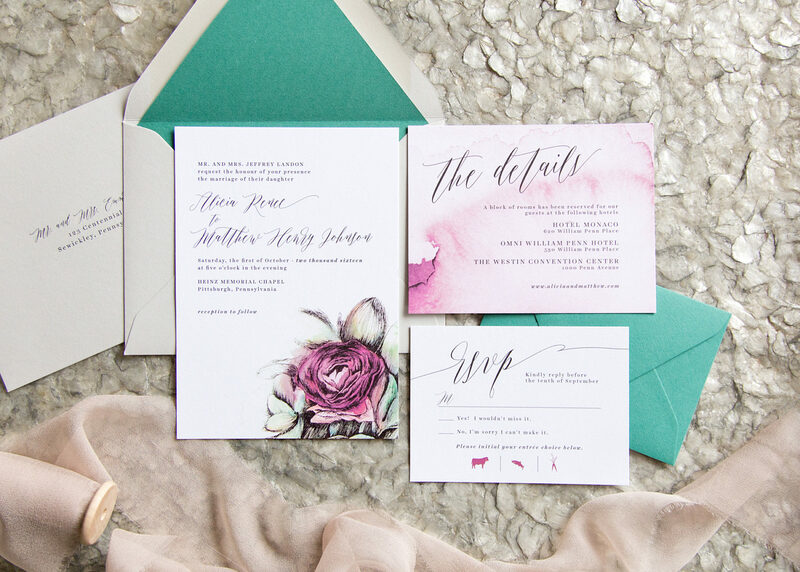 Let me use my design and print knowledge to create your perfect, high quality wedding suite! Two rounds of design revisions are allowed, which include changes such as some colors, wording, and backer changes. Core design changes from the design shown will be an additional cost. 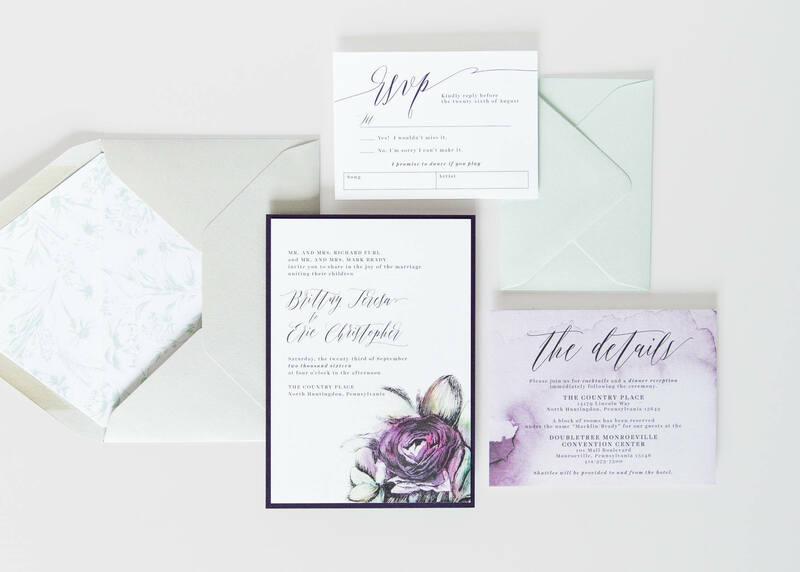 Other additional services and items are available, such as layered invitations, custom return address stamps, silk ribbon, and coordinating day-of items. 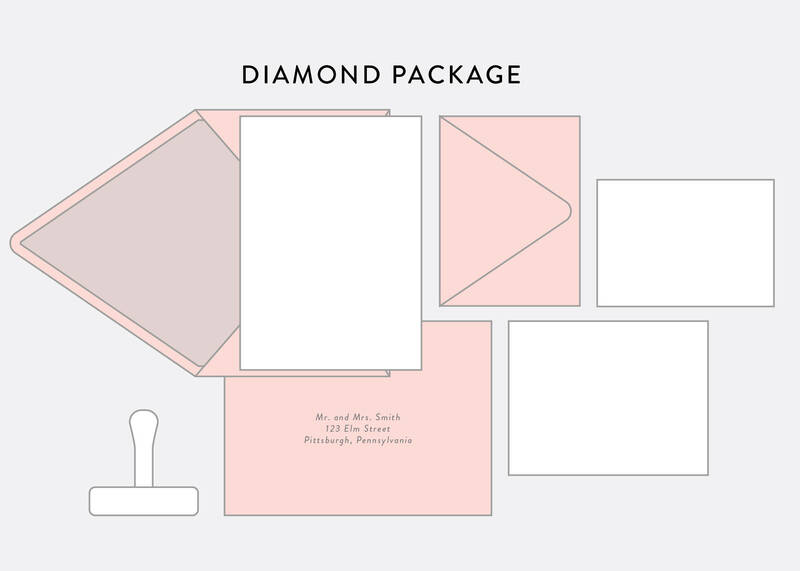 I’d love to help you build your dream invitation suite! 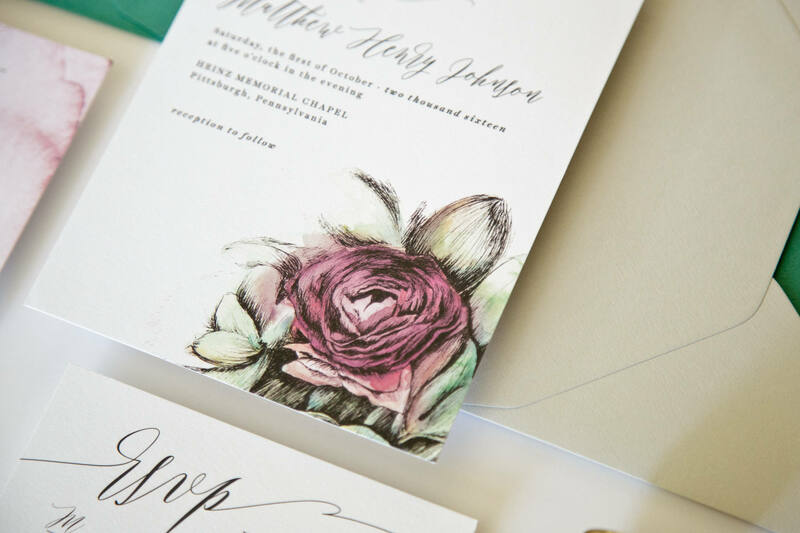 105lb pearl shimmer – A subtle metallic shimmer shines through the ink, giving it a little sparkle. Produces vibrant colors and sharp images. 118lb 100% cotton – A classic option with a lovely soft texture. Produces slightly less vibrant colors on full coverage designs. 120lb eggshell – A close match to cotton, but with slightly more pronounced texture on the front side. Less textured on the reverse. Great for single-sided designs, produces vibrant colors and sharp images. 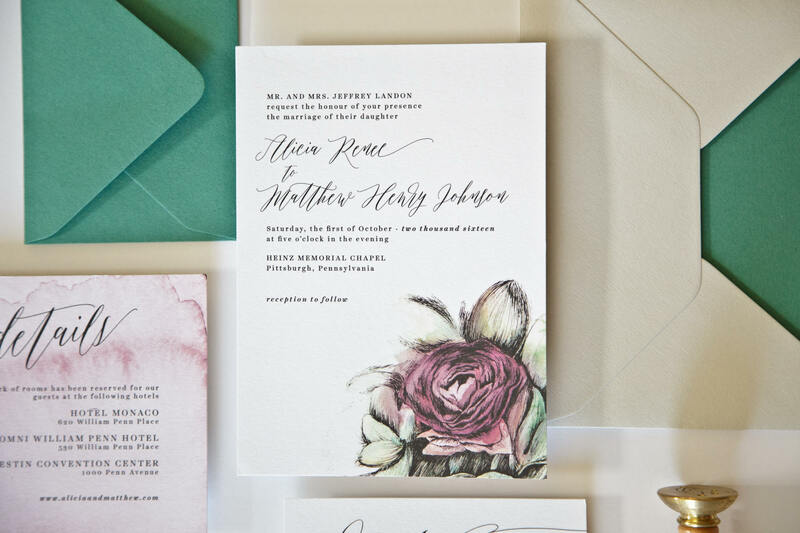 130lb 100% recycled – A lovely smooth paper that is recommended for designs that include photos. 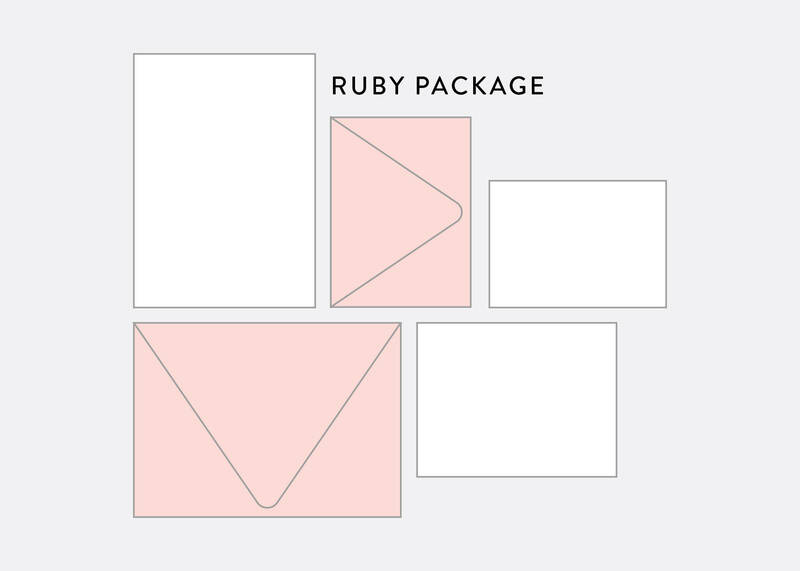 140lb smooth matte – A completely smooth paper option, the thickest of my standard choices. Produces vibrant and sharp images. I’ll contact you to get your wedding details and wording requests. Within 1-2 weeks, you will receive a digital proof. 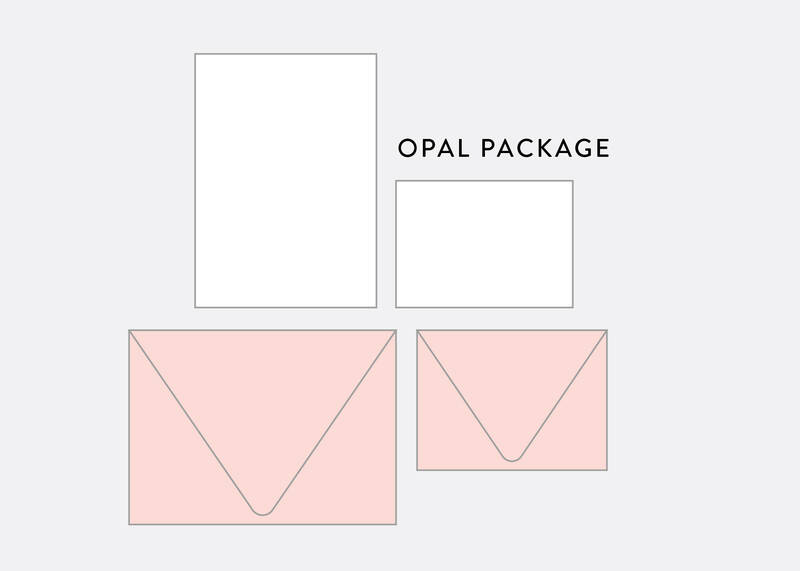 Once you’ve approved your proof, you can expect to receive your printed cards in about 2 weeks. The average order takes about a month to complete. For custom orders, please contact me via http://freshcutprints.com/contact. To join my mailing list, visit http://freshcutprints.com/sign-up/.